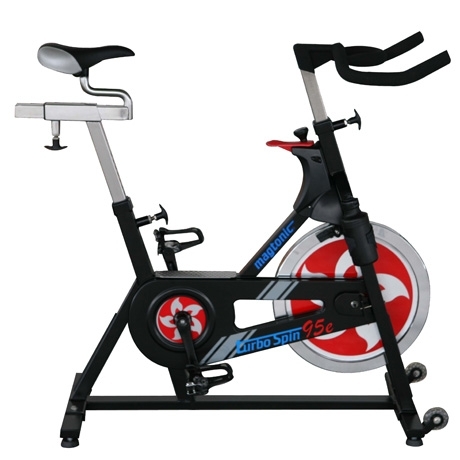 The best ergonomic design, simulates outdoor racing cycle movement, effective for training the lower body muscles. Enhances cardiopulmonary function, physical strength, endurance, and helps with consuming calories. Position numbers are permanent on the vertical post and horizontal slide, allowing users to set the comfortable position and replicate next time. Stainless T-pop pin is designed for corrosion resistance and can be quickly threaded tight for a secure hold. Frame is completely EDelectro deposition coating	prior to the application of powder coating finish for corrosion resistance. Enclosed chain guard keeps lubricated parts away from the rider, yet offers convenient access for easy lubrication. Flywheel concentrated mass on outer edge with larger gear ratio creates high inertia. Easy to adjust the resitance by turning knob. Pushing down the knob will stop the flywheel and pedal rotation.